Archives of Eaton Bray News for March 2016. This article was published in March 2016. Please see Latest News for more recent information. Good Neighbour Scheme in Eaton Bray. Bedfordshire Rural Communities Charity (BRCC) would like to work with you to provide support for any Eaton Bray residents who need occasional help such as a lift to the doctor's, shopping, collecting prescriptions, dog-walking, or simple practical help such as changing a light bulb. Would you be interested in joining the scheme as a volunteer, or is there any way in which the scheme might be able to help you? A Good Neighbour Scheme is a voluntary group run by local residents who recognise the value in having 'good neighbours', particularly where public transport and other local services can be limited and where people's family may not live close by. Each volunteer decides what sort of help they are able to offer, how much and when. They do not undertake jobs best left to qualified professionals but can help with things like occasional lifts, befriending or shopping. All volunteers are fully insured for extra peace of mind. Anyone who needs a bit of extra help can ring the group's phone number. Calls are answered by a volunteer phone-handler, who matches the request for assistance with an available volunteer. There are currently over 40 towns and villages across Bedfordshire with Good Neighbour groups supported by Beds Rural Communities Charity (BRCC). 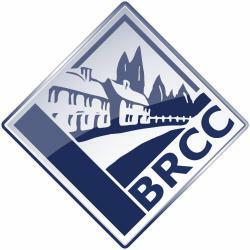 Bedfordshire Rural Communities Charity (BRCC) is looking to work with local residents to set up a Good Neighbour group (Care Scheme) to help people living in the village. We would be very grateful if you could please let us know if you might like to join us or if there is any way in which we might be able to help you. In the next few months a survey and information will be circulated throughout the village. We would be very grateful if you would complete it. Your replies will help us decide whether a scheme might work in Eaton Bray and we look forward to receiving your completed survey. Thank you for your assistance. If you would like the assistance now or in the future we have listed below the services we think a Good Neighbour scheme could offer that might be useful to people in the area. Occasional lifts to doctors, lunch clubs, shops, etc. Following the Parish Council becoming aware of the recent development application on land off Totternhoe Road, the Council unanimously agreed that Eaton Bray does not have any requirement for a development of this size and nature. Eaton Bray Parish Council have sent the following to Central Beds Council regarding Planning Application CB/16/00717/OUT - Land off Totternhoe Road, Eaton Bray, LU6 2BD. Outline planning for 145 new dwellings. If residents of Eaton Bray (and surrounding villages) wish to comment on the proposed development they should write to the case officer, details below, providing your reasons. It is important that you send a physical letter or email as it is not enough to just make a comment on the CBC website. You are viewing the March 2016 archive.